Little Rock, Ark. – Southern Bancorp, Inc. CEO Darrin Williams announced today that Dr. Karama Neal has been named President of Southern Bancorp Community Partners (SBCP), a 501(c)(3) development finance organization and loan fund. SBCP works alongside, and in partnership with, Southern Bancorp, Inc. and Southern Bancorp Bank to increase access to capital in underserved markets through financial education support, public policy advocacy, and flexible lending. “After a national search, I’m proud to announce that the SBCP Board of Directors has selected as the organization’s next president, Dr. Karama Neal, SBCP’s current chief operating officer and an industry leader in the area of financial inclusion and economic mobility,” said Williams. Joining SBCP in 2009 as a senior grant writer, Dr. Neal has risen through the organization’s ranks to her current position in which she manages family economic security and public policy programs as well as personnel. Dr. Neal’s most recent work has included leading efforts to create a Bank On Arkansas coalition that will encourage financial institutions and others to offer products and services to Arkansans who are underbanked and unbanked, as well as the development of Southern Bancorp’s new Opportunity Center initiative, which is aimed at connecting community members with Southern’s unique combination of financial development and lending services, both in branch and online. 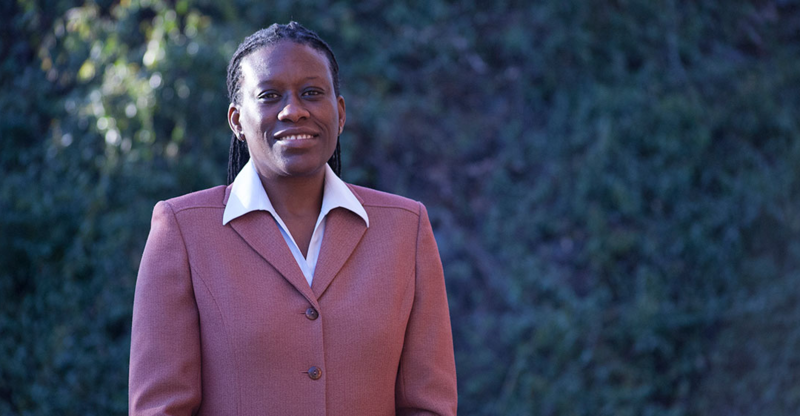 A Little Rock native and Central High School graduate, Dr. Neal received her bachelor’s degree from Swarthmore College in Pennsylvania, her master’s degree in bioethics and health policy from Loyola University in Chicago, and her PhD in genetics and molecular biology from Emory University in Atlanta. She is also a graduate of the Impact Investing Programme at the Saïd Business School at the University of Oxford. Dr. Neal is active on both local and national boards, including serving as a trustee of the Mary Reynolds Babcock Foundation, a steering committee member of the Arkansas Asset Funders Network, a commissioner for the Arkansas Access to Justice Commission, and member of the board of directors for the Federal Reserve Bank of St. Louis’ Little Rock Branch. She is the author of several articles and publications ranging in topic from genetics and bioethics to heir property and rural economic mobility, and she is a frequent guest speaker and panelist on asset building, economic inclusion and other subjects. The daughter of the Hon. Judge Olly Neal (ret.) and the late Janet Cobb, Dr. Neal lives in Little Rock with her husband, Kwadjo Boaitey and their daughter Ayoka. Southern Bancorp, Inc., a bank holding company; Southern Bancorp Community Partners, a 501(c)(3) development finance and lending organization; and Southern Bancorp Bank, one of America’s largest rural development banks; were founded in 1986 by a group of business, political and philanthropic leaders who were concerned about the economic decline of rural Arkansas. All three entities are U.S. Treasury certified Community Development Financial Institutions (CDFIs) collectively known as “Southern.” With $1.2 billion in assets, 60,000 customers and 46 locations in Arkansas and Mississippi, Southern invests in people and businesses in rural communities; empowers them to improve their lives; and helps them transform their communities. Learn more about Southern on the web at www.banksouthern.com & www.southernpartners.org.